Here in this article, we will see 4 best spying software that will be useful in tracking the real-time location of the target phone without knowing & undetectable. Parents who always remain worried about their kids that where are they going, what are they doing and so on must read this article. This article will help parents to know some methods by which they will be able to track the real-time location of their kids. Kids are naughty and they don’t think what is wrong and what is right. Sometimes stranger take advantage of this thing and take your kids to unknown places with them. This is a really horrifying situation for a parent when the kids are kidnapped. They go to the police then they investigate and the long process goes on. But if you make use of Spy Apps and monitor your child 24 x 7 then this will not let such situation to come up. Your child will always remain safe as well as secure when you monitor them and save them from going to unknown places. Here in this article, we will see 4 best spying software that will be useful in tracking the real-time location of the target phone. When talking about top 4 spying software to track the location of the target phone then using the GuestSpy is the best option. This is because this software is famous in the app store. This software is not only useful for tracking location but also it allows the user to monitor target device completely. A parent who makes use of this software remains in profit as they don’t have to remain worried about their kids. There are some fantastic features available in this software which can be used to track the location and other details of the target mobile. There on site, you can read about the features of this spyware. You can also read the way to use it. You can not only use this spyware to spy on your kid but also you can track the location and other information of your spouse, relatives, employees, etc. Here, we will discuss the features of the GuestSpy. By spying on the call of target phone you are able to get details like the contact number, duration of the call, and recording of the conversation and so on. When you access control panel from where you can grab all these details and save them on your phone. If you wish to extract the contact history then you can do it as well. You can see the list of a missed call, deleted call logs and so on. By spying on the SMS of the target phone you can get details like the name of SMS sender, phone number, full chat history and screenshots of the chats. You can save the SMS or delete if they are unnecessary. 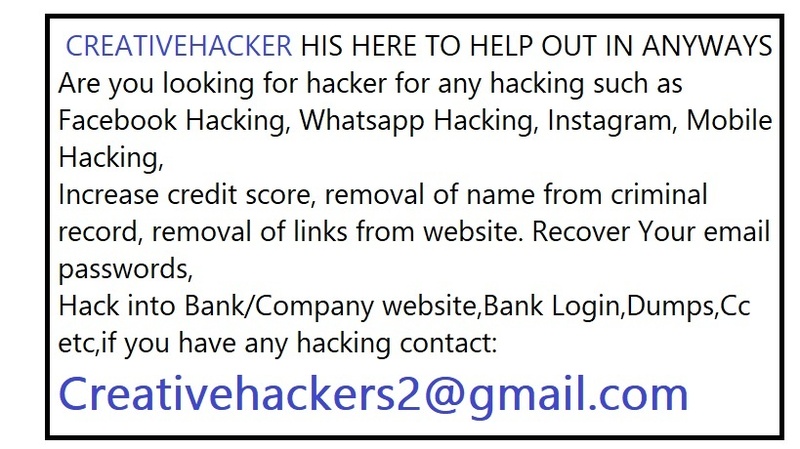 Messenger applications like the whatsapp, hike and facebook messenger can be hacked using this feature. When you use this feature then you are able to read the full chat of the target person and the unknown person. Also, you can see the send or received photos as well as videos. Also, the deleted, as well as encrypted chats can be retrieved from the target phone and seen from your control panel. If you wish to know what the target person is browsing and which browser he or she is using to browser then one can make use of this feature of the guestspy. You can see the URL visited by the target phone also the full browser history will be displayed on your control panel. You can even extract the browser history which is deleted by the target person. If you see some sites or URL are harmful for the target phone user then you can block those URLs and target phone user will never be able to visit those links. If the target phone user uses social media apps like Facebook, Instagram, and Snapchat then these accounts can be hacked by you using the GuestSpy. You will be able to extract the password of their social media account. You can keep eye on the social account activity and save your child from the unknown people. This feature is useful if you wish to monitor and know what all multimedia files are embedded in the target phone gallery. Along with the photos and videos you are able to see the details of the multimedia files like the date, time, size, file type and so on. The multimedia files which are deleted or encrypted can also be extracted and seen. If you want then you can keep these data with you or remove it if it is not important. This is the very essential feature offered by the GuestSpy. In case if the target person forgets the password or pattern of his/her then using this feature you will be able to know what is the password of the target device and unlock it anytime. Also, you can change the password of the target phone if it is stolen or lost so that the mobile data remain safe from theft. This feature is used to record the usage of apps installed on the target phone. By recording the app usage you can know that what are apps which are mostly run on the target phone and which are least used. By recording the usage of the app you can also know which apps are taking space on your phone and are not used. You can delete those apps and save the space of the target phone. If you see there are harmful apps installed on the target device then you can stop them or block them using the block apps features. If you wish to track the location of your loved ones you can make use of TheTruthSpy app. There are numerous features offered in this spyware which can offer you different advantages. To explore most of the features of this app you need to download as well as install it in target person device as well as your device. To remain undetected you need to encrypt this software on the victim mobile. You can go to the settings and hide it. Once you hide it then go to the control panel and start monitoring. The user-friendly interface of this software will allow you to record as well as view each and every detail of the target phone. Thus, kids can no longer hide any secrets or lie to you when you make use of such software. This app also contains real-time location tracking feature and thus, if you make use of this software then you will be able to track the location of your kids. The method of use of this software is quite different from the other one as here you have to download the app then create an account and buy the subscription package to use its feature. If you do not make subscription then you won’t be able to able to use it. Also, to make use of this software you need to root the device and also you need to jailbreak in case of iPhone user. If you make use of this software then you can reveal all the hidden data on the target phone and you are also allowed to save as well as download this data on your device. Another benefit of this software is that it is virus free, and easy to operate. PhoneSpying is a very good app to track the real-time location of the target phone. It will track the accurate location details when you use it and also it will provide other interesting feature which will, in turn, provide you with professional spy experience. To use this software to track the location of target mobile first you need to download and install then create an account to open up the control panel and then you need to go on track location feature. GPS location will start running itself and provide you with all the information. You will get the date as well as the timestamp of the target phone and also, the name of the place will be displayed. 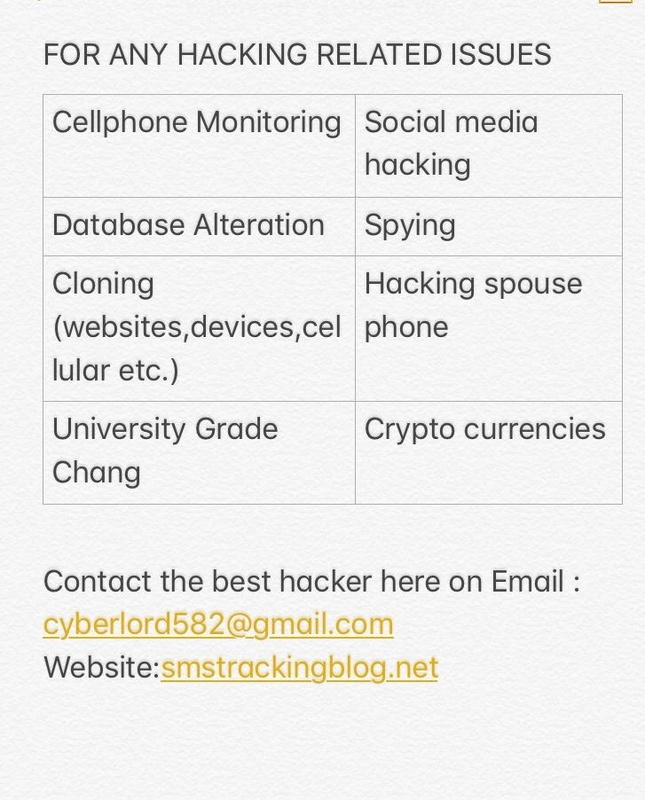 You can know the location information and the other information can also be tracked using it like the call tracking, browser history spying and so on. The above given 4 application will let you track the location of the target person without physically accessing his/her mobile. Also, other features of these apps can be used to do monitoring. So, these are some of the features of the guestspy. If you wish to make use of these features then you can install this application now and start running it. Make sure you follow the correct steps as well as process to make use of it. If you make a little mistake then it can result in an error and you won’t be able to hack the target device. So, be a real spy, be careful while spying. from my military experience for 8 years, i have come to understand that the some illegal things are very advantageous than can be imagined but only when used correctly, i contact Keithhopson27@yahoo.comfor hacking any day any time!!!!! 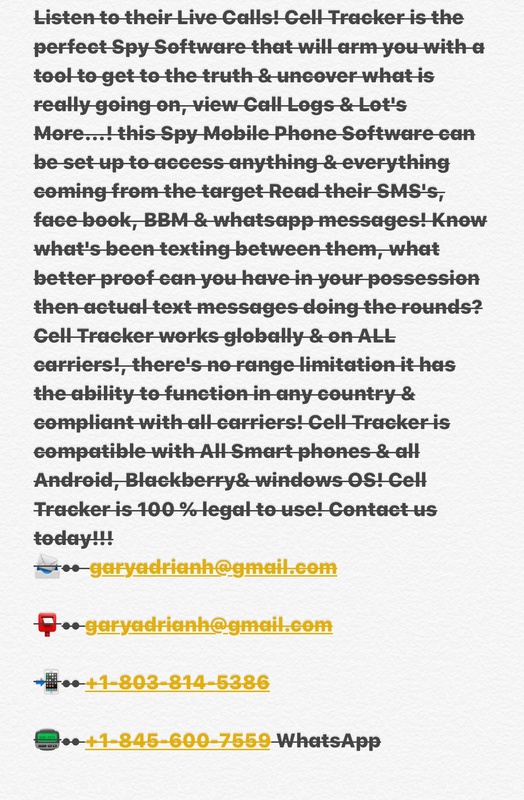 Contact Keithhopson27@yahoo.com for your quick hack into your spouse phone, increase of school grades, Database and many more he is good, fast and affordable, he has also worked for me and he has never disappointed me,God bless this great hacker i assure you 100% results. 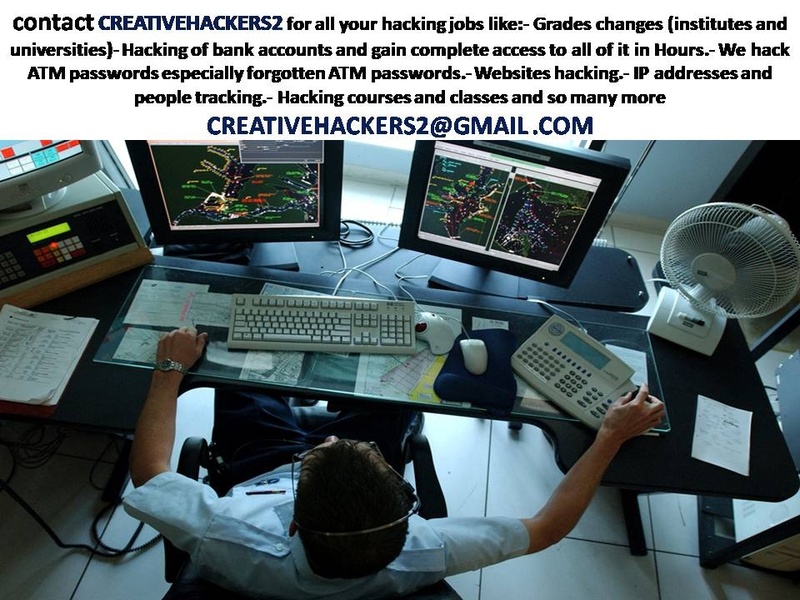 Contact Keithhopson27@yahoo.comfor your quick hack into your spouse phone, increase of school grades, Database and many more he is good, fast and affordable, he has also worked for me and he has never disappointed me,God bless this great hacker i assure you 100% results………. 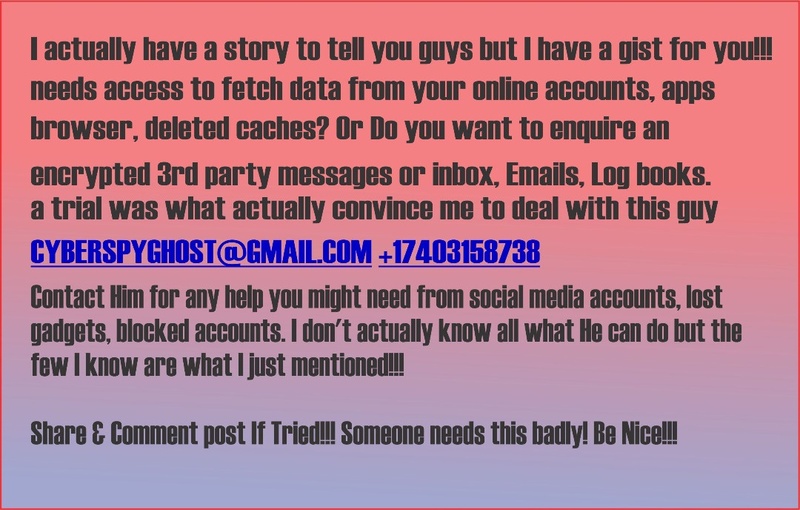 I have been in the military and i have seen people bypassing top security modules, its no brainer that i had done same a few times before i left military, I did that with Robertking360@yahoo.com he is actually trustworthy when it comes to data files, database, Phone, Social media hacks. 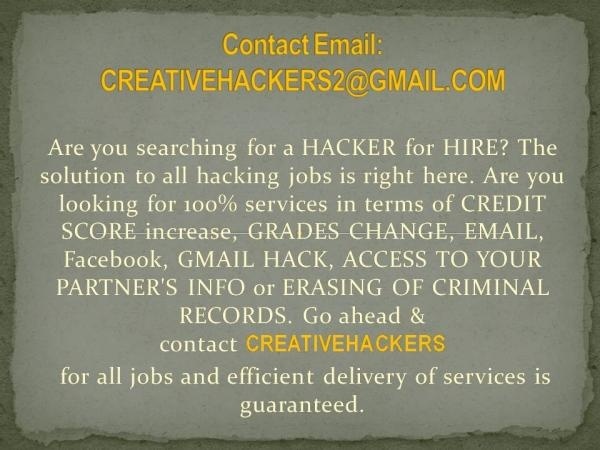 [Keithhopson27@yahoo.comare a team of qualified and professional hackers willing and able to meet your need at any time. I live in Dallas and I must convey my appreciation for this team generosity supporting men and women that absolutely need solution to their low Credit Score and poor Credit Profile. Their special commitment, experience and expertise to increasing a low Credit Score and cleaning up bad or negative items account and also give me app which i can use in vowing is chat without logging whenever i’m in my office. amnngrateful contacting this hacker he really help me via Robertking360@yahoo.com!!! I want to thank the truth Spy team for helping the recommendation of worldjobfinder@yahoo.com Didnt see this coming but I am glad I contacted them. 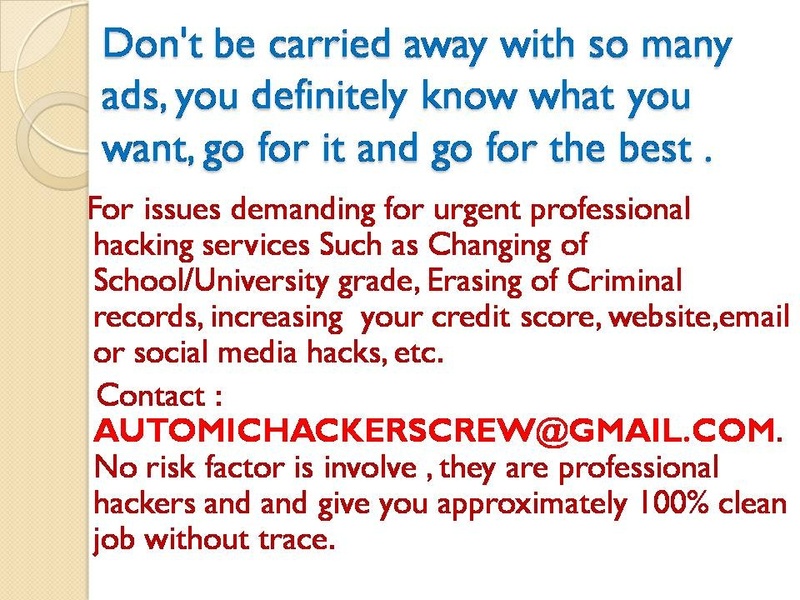 They are actually real hackers .. so many fakes took advantage of me.Iu2019m super excited I contacted worldjobfinder@gmail.com. These Reviews are excellent! I canu2019t believe I put all my trust in my husband and he could still do these to me nWORLDJOBFINDER AT YAHOO DOT COM helped me gain access to his phone and I saw a lot. contacted worldjobfinder@yahoo.com for assistance and believe me it was worth it. I just had my wifeu2019s viber and WhatsApp hacked. I am happy i contacted worldjobfinder. Are you suspicious of your significant other? Have they been acting weird lately? Do you suspect them of cheating on you? they will give you 100% access to your target device without them knowing. 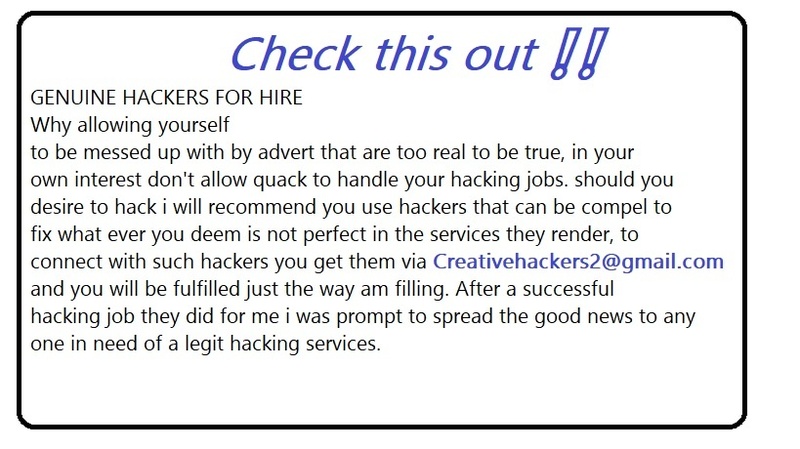 Send them an email today for all your hacking needs. via WORLDJOBFINDER AT YAHOO DOT COMnIs your university score grades low? 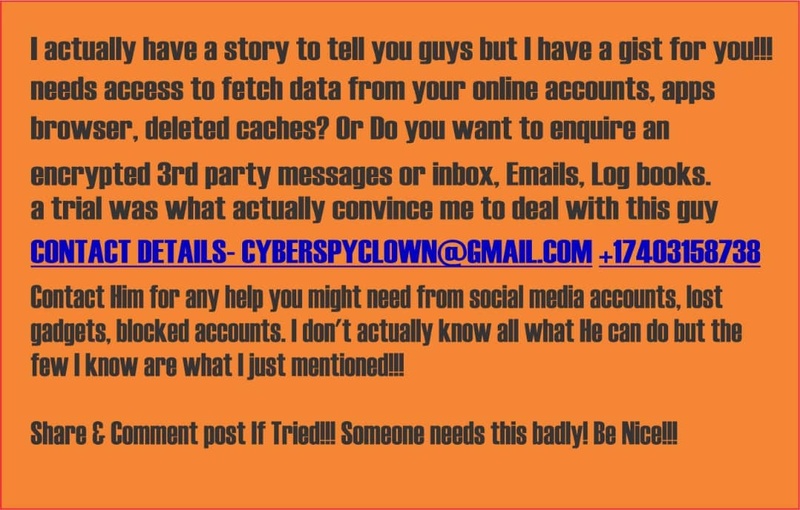 nDo you want to recover your social media account? nDo you want to recover your email account? nDo you want to expunge your criminal record? 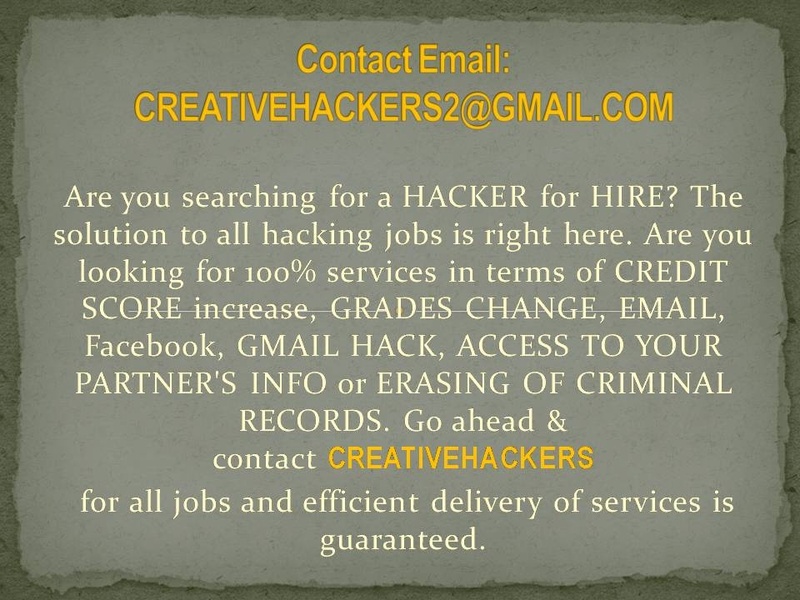 I was having issues with my ex wife and I needed to hack into her phone , WhatsApp, Facebook conversations and even her money transfer records until I met WORLDJOBFINDER AT YAHOO DOT COM here. Sheu2019s a professional hacker and I am a living testimony to her works. I am very glad I messaged her. Thanks Keithhopson27@yahoo.com for giving me access to my husbands Whatsapp without his knowledge…..
I’m definitely not against snooping around your partner’s phone but it becomes a problem when they suddenly ask you the reason you want to just play with their phone. I have hired NICOLAS and I know a few friends that have used them before and they came through. Her secret is widely open i got all her hidden activities within few hour Nicolas gave me full access to my cheating wife phone am so happy now i know exactly what she do behind me. I was not really sure if i would get what i wanted but i gave it a shot. with NICOLAS it was really amazing i got whatsapp, facebook and textmasages hacked within 8 hours of work , i dont know how he did it but it worked wonderfully well for me ..
RDP? Offshore Hosting? SMTP? Pages/Scripts? He can provide all with money back guarantee. Oh, I hired their service too. If it is about nosecretspy team, one cannot over emphasise their integrity. 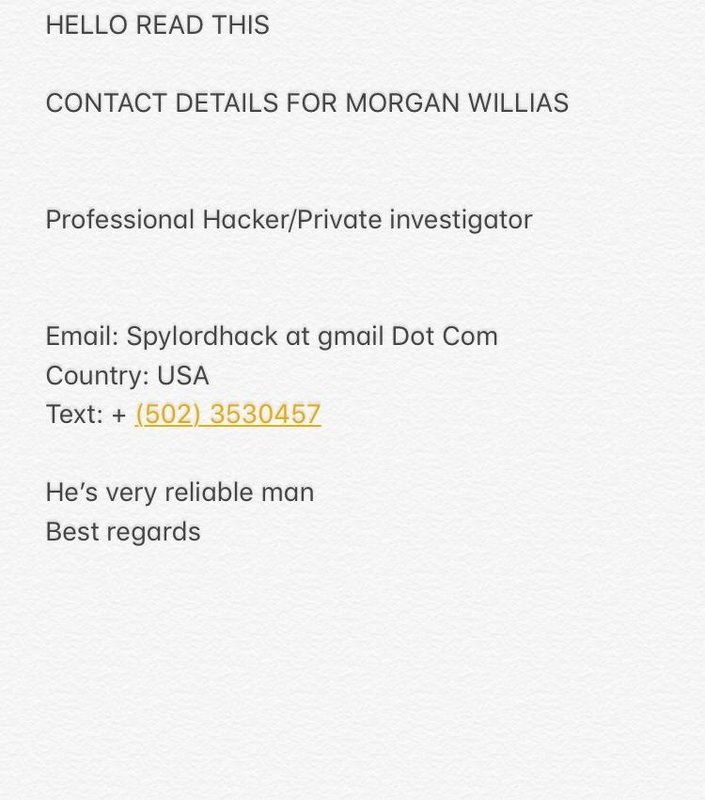 I have tried so many means to get professional hacking but none worked until I met nosecretspy team who helped me to hack my man’s cell phone. Just found out my man had kids with this woman from Tennessee with power of this great hacker. I would suggest you contact C Y B E R S P Y C L O W N @ G M A I L C O M or +1 740 315 8738for call and text .They would surely help, their services are so efficient and reliable. Simply the best. I can guarantee he is the best and only reliable private investigator outhere.. I got total parental control on my kids with the help of C Y B E R L O R D 5 8 2 @ G M A I L C O M and knew who they were chatting with..
out and a lot happier. 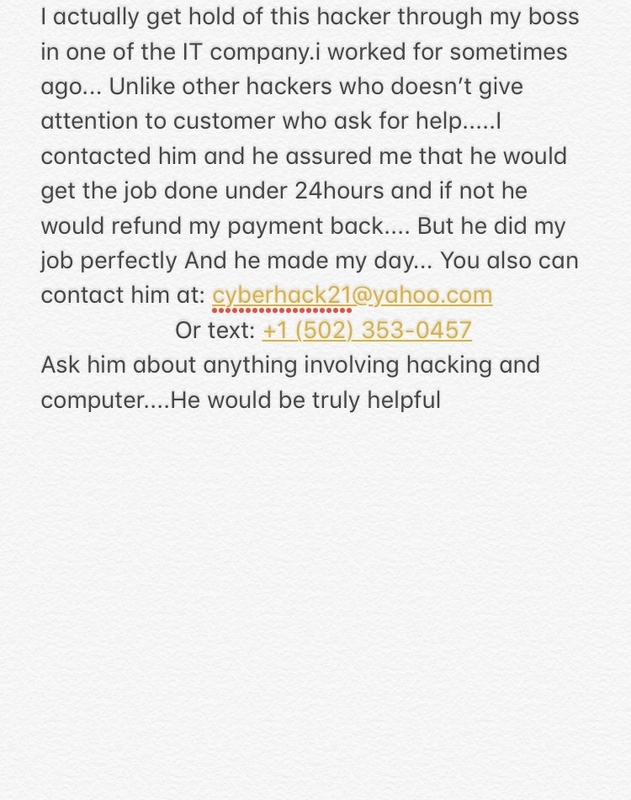 credit goes to the earlier mentioned hacker for a good job. I am so fortunate to follow DARKSPYNOW@gmail.COM link. 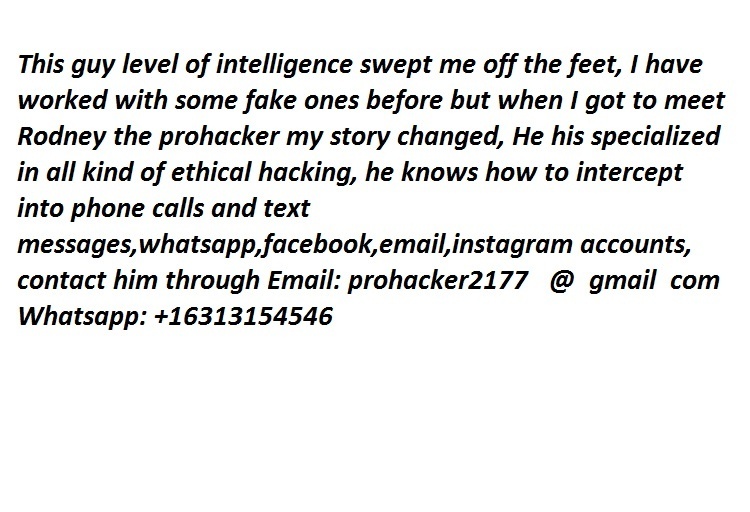 On the other side is a very competent hacker who has been helping my friends in jacking and spying their boyfriends. Am lucky to have his time because in 4hrs, I received my package having given out the required details. Am still enjoying it till now. 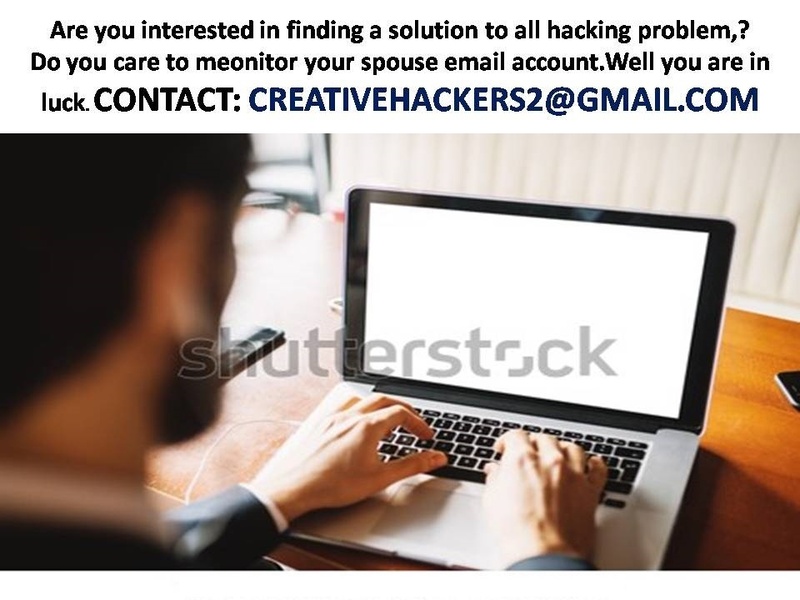 His work is satisfactory, his time is accurate because its just 4hrs, anonymity is secured because your partner or subject will never know you hacked him or her, faithfulness is intact because if he fails you in 4hrs or time agreed, there is refund policy. Can you see why I love working with DARKSPYNOW@GMAIL.com? He is a planned hacker. Lots of people condemn hacking because they don’t really know what is happening around them and they are so dumb about it. hackers are the solutions to the problems we seek but we are so dumb about it. civilization should not get into our head and forget to do the right thing because we might have to suffer a life time for that.